Postbox, Inc has released Postbox 4, a major update to its Windows and Mac email client. Version 4 debuts a new Cloud File Sharing add-on, which adds support for Box and OneDrive in addition to Dropbox. The new release also shows off an enhanced focus pane in addition to a number of other new tools and views, including features designed to help compose, edit and view email more easily. The new Cloud File Sharing add-on is installed via the main program’s Tool > Add-ons menu, and allows users to share links rather than physically attach files to emails. The obvious benefits include faster message sends, reduced storage on email server and the ability to update files after a message has been sent. Once added, users should navigate to the options dialog and tick "Send links when attaching files in your cloud folder" is ticked under Attachments > Outgoing. 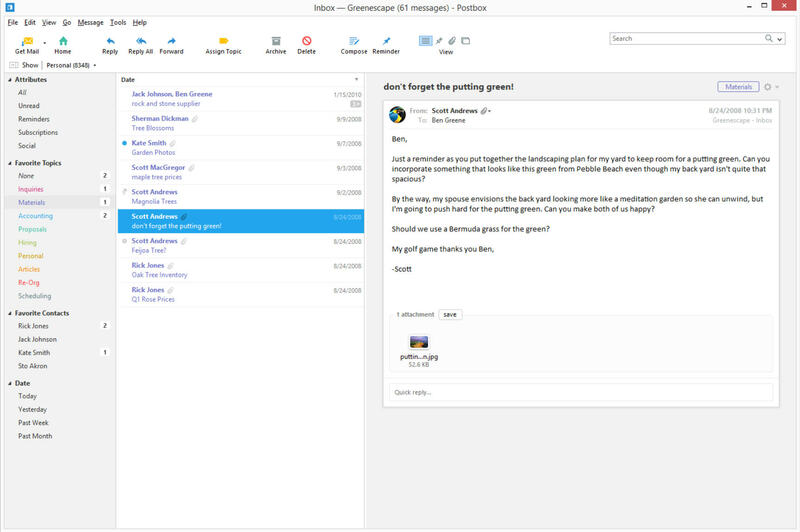 Postbox 4 also debuts an enhanced Focus Pane, which allows users to filter the view to show only what they wish to see, such as unread messages from a specific person or reminders from the current month. Version 4 adds a number of new attribute filters, including read, replied, subscriptions and social. It also allows users to select multiple contacts at once and open contacts or topics in a new tab. The new Social View also makes it easy for users to track their social network accounts via Postbox, and is joined by a new Subscription View. Elsewhere, a new Quick Bar tool makes it easy to insert pre-built snippets and other content into emails, and a Code View allows users to view emails via a fully functional HTML editor. Users can now also define composition goals -- such as length or time -- to restrict how long an email is, or how much time is spent on it (these are automatically paused if the user is moving between multiple composition windows). Postbox 4 also introduces Domain Fencing, a way in which users can now restrict who receives specific email based on the account it’s being sent from. 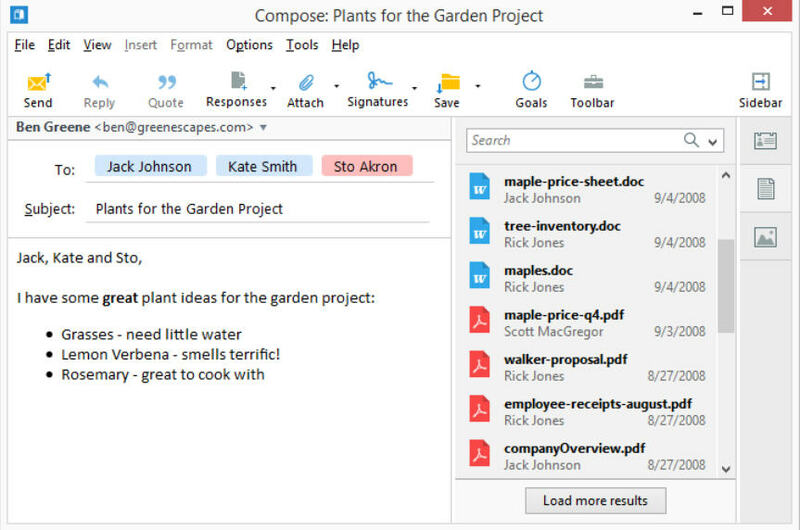 A Smarter Compose Sidebar who speeds up access to recently used contacts, documents and images. The Postbox Topics feature, which allows users to organize email by keyword, has also been improved with the promise of a faster, more intuitive Topic panel, with topic colors reflected in the Focus pane and support for performing actions directly on a topic bubble. The new release is rounded off with a new Mailing List Unsubscribe feature, which detects list-unsubscribe attributes in a message header -- if this is detected, a convenient Unsubscribe link is displayed next to the sender’s address. Postbox 4.0 is available now as a 30-day trial for Mac (OS X 10.9 or later) and Windows (7 or later) with 8GB RAM and 200MB free hard drive space. The full version can be purchased for $15 plus applicable taxes, a rise of $5 on the previous release, but each single-user license covers all the Macs and PCs owned by the purchaser.